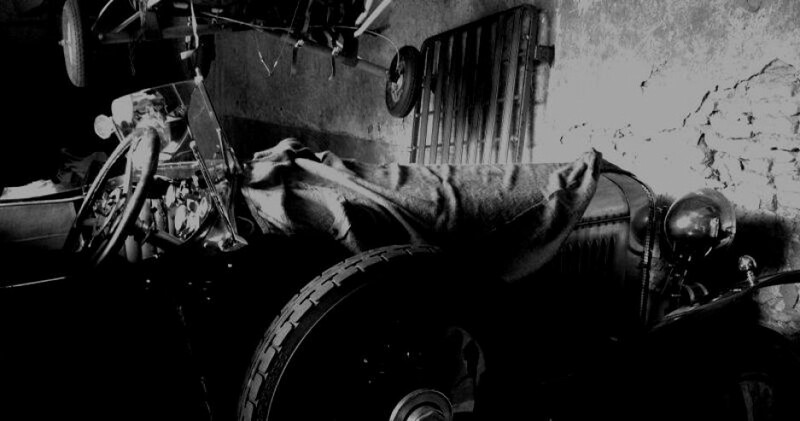 Years ago, when Bugattis were still to be found in junkyards and barns were for sheep, nobody had heard of barnfinds. Nowadays the world has changed, and the word ‘barnfind’ is growing in popularity every day. In the past year I have seen ‘barnfind wines’; cars at auctions with fresh hay spread over the roof; cars that are clearly in a garage but sold as barnfind; barnfind classes on Concours d’Elegance; barnfind museums; and most strikingly you can even buy dust to turn your over restored car into a proper barnfind. And you know what, I understand it all. When done in a proper way, barnfinding is the new city safari! For all of the new guys who join the vintage car world, I have some simple rules to make it a real adventure. Furthermore, I encourage the barnfind-aces to add their tips and tricks in their feedback on this article! First of all you don’t need to find a barn at all. Search the neighbourhood for garages, antiquarians, old houses, book shops, but most important, your uncle’s attic. We all dream of the BNC barnfind in the photo. But the find of a great book, vintage pump, old-school racing bike or rusty sign can be at least as rewarding. It has the advantage that it is way easier to ask your girlfriend for 10 euros instead of asking her to sell the house. Least important: you don’t want to steal another barnfinders territory. More important: the best barnfinds are just a few blocks away. Last year I found an Amphicar a 100 yards from my house (1200 miles from Lago di Como) and a fleet of vintage Italian scooters a 100 yards in the opposite direction (1200 miles from Venice). Gardens with automatic lawn mowers are too organized to have a French beauty rusting away. Moreover, when in the barn, avoid things under sponsored car covers. Owners know exactly what they have under them and what they want to have for it. Instead of that browse through the book that is used as an oil catcher under the car, it might be a signed copy of the autobiography of Count Lurani. Searching the internet is no barnfinding, it lacks the excitement of the real thing. Although I have to admit that it is easier and way more comfortable during bad weather. Furthermore, when committing to a specific barnfind, it is way more exciting not to know what you just found and to think that it is a steering column of a vintage racer, while in reality it is an ordinary part of a rusty tractor (yes, we have all been there). Internet might ruin this feeling. The whole fun of barnfinding is the search. When you find something you can bargain a little (also fun), but always pay a respectful price. If you want it cheaper, go to your local Chinatown. Even when you can’t afford it, it is quite satisfying to have found something. If you inform owners what sort of special thing you just found in their garages, they often come up with great stories; even more interesting stuff; or even the paperwork which belongs to it. Keeping your mouth shut and paying way under the market price doesn’t buy you that. When you find something you don’t need yourself, call me or one of the other youngsters who want to join the hobby. The most unrealistic project for you might be my/our dream! Please let us know how you found your car(s) and curiosa (in the comments).